This CV template uses a variety of ways to section off your information, from bordered boxes to bullet points, coloured blocks and stylish lists. It's a two-page template with space for a photo if you want to include one, and plenty of extra space below if you need to push onto a second page. A lot of thought and care has gone into the design here so there's lots of details to appreciate - the vertical text, the subtle colour scheme, the highlighted headers, and so much more. All-in-all, 'flourish' is a flexible CV template that can very easily be adapted to a huge range of roles, ensuring your application catches the eye of prospective employers every time. Free Flourish CV template in Microsoft Word format	Overall rating:	4.8	out of 5 based on 8	reviews. Our CV template editing guide (link below) is very useful for editing templates built with tables like this one - as a minimum, we'd suggest turning on 'text boundaries' so you can see where the hidden tables are. The CV uses two fonts: Open Sans Light and Open Sans, both of which can be downloaded from Google fonts without charge. It's best to install these first before opening up the template. Finally, watch the spacing as you replace the dummy information with your own - most paragraphs have 6pt above and below, but the headers have 8pt with text expanded by 1pt. If you paste info in using Paste Special > Unformatted text, it should take on the style and spacing of the dummy information. Your CV is the one chance you’ll get to impress an employer, and hopefully make them want to pick up the phone and haul you in for an interview. Writing a huge list of tasks for each of your past roles seems like the standard thing to do, but an employer is more interested in finding out how you performed. If you have a large employment history, some of which are not relevant, you should be focusing on showcasing your achievements as well as listing some of the main tasks. Your work experience section should contain sales figures, generated revenue, examples of problem solving, promotions, and other instances of outstanding performance and achievements. One of the most frustrating things for an employer to see on a CV is cliché statements, for example – ‘I am a great team player’, or ‘I have fantastic communication skills’. The problem with putting down these bold claims on your CV is that you are not backing up those statements with hard facts. An employer would rather see you prove your skills with actual examples. If communication is important to the role, then you could instead say, ‘I successfully negotiated a contract worth over £350,000’. If your presentation skills are lacking and your CV doesn’t match up to other applicants, it won’t matter how qualified you are for the role. 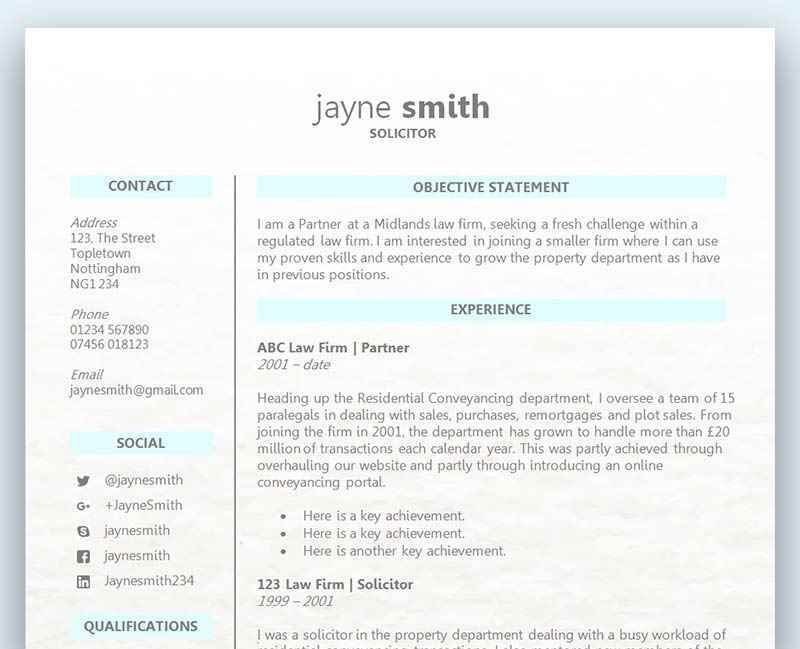 A poor layout could make it difficult for the hiring manager to navigate your CV and find what they’re looking for. Always consider using a ready made CV template to showcase your information, and ensure your details are displayed in the best possible way. Not only should your CV be easy to follow, it should also be easy on the eye and impress the employer with its looks as well as its quality. A common choice of reference for a CV is to go with your past managers and hope they give you a glowing review. The problem with this is that you may not be completely memorable to them, and you might also catch them off guard. Some managers are in contact with numerous employees on a daily basis, and if you put down a reference from a job you held 10 years ago, you might end up with a very vague response. Always contact your desired references first to make sure they are happy to provide one, and to also let them know who might be contacting them. You should also only choose someone you worked with closely, and not go for the CEO to try and show-off. A generic reference could cause the employer to become suspicious, and wonder why they are not getting a great deal of information about you.